Valerie Aurora is a hero. She is a veteran computer programmer who has been working hard to educate people about the rampant sexism in the technology industry. After her friend was sexually assaulted at a tech conference, she took a stand and cofounded The Ada Initiative in 2011. The Ada Initiative is named after Ada Lovelace, an English mathematician who is widely recognized as the first computer programmer. 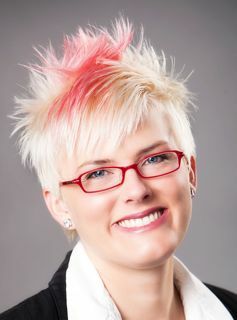 Valerie Aurora co-founded The Ada Initiative in 2011. “The Ada Initiative is a non-profit organization supporting women in open technology and culture. We educate people of all genders on how to support women in open tech/culture through teaching workshops, writing policies, guides, and editorials, and speaking,” according to their website. Their top projects are AdaCamp San Francisco, a conference for women in open technology and culture and their workshop training program. Because they are a non-profit, they rely on individual and corporate donations to keep their work going strong. Most of what they create is free for anyone to use. It’s also modifiable under Creative Commons licenses like CC-BY-SA and CC Zero. Some of the important work they have been doing is making technology conferences safer for women, reaching out to people through editorials, policies, and speaking, advising organizations on supporting women, teaching hands-on workshops and conducting surveys and research. The Ada Initiative supports women in tech. Aurora knew that her friend was not the only one to endure sexism in the tech field. Adria Richards was driven underground after tweeting a photo of two guys sitting behind her at a Silicon Valley conference. She had heard them making sexually charged jokes. That tweet ended up getting one of the men fired. In retaliation, she received hundreds of expletive-laden, racist emails and her personal information was published online. Her company’s (SendGrid) website was shut down for six hours and she was later fired for “her ill-advised handling of the matter.” Richards stopped tweeting and blogging. This is the kind of thing Aurora and The Ada Initiative are trying to stop. Among their biggest victories are persuading over 100 industry conferences around the world to adopt formal sexual harassment policies.